Jerry Evans had the experience of playing with John Elway and catching the NFL Hall of Fame quarterback’s passes for three years as a member of the Denver Broncos where he was a teammate of other NFL Hall of Famers Shannon Sharpe, Terrell Davis and Gary Zimmerman. Evans began his path to the pros at Admiral King High School where he was a three-year letterman, earning numerous honors as both a tight end and defensive end. As a senior in 1985, Jerry was named All-Ohio First Team. Evans helped lead Admiral King to the playoffs in 1984. Jerry’s success on the gridiron continued at the University of Toledo where he was a four-year letterman, named first-team All-Mid-American Conference and was awarded the Nicholson Trophy as the team’s MVP. 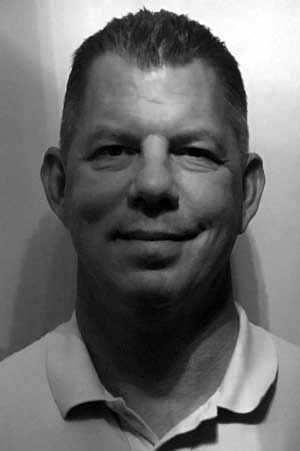 He played in two major All-Star games, the East-West Shrine game and the All-American Bowl, both in 1990. Jerry’s coach, his final season at Toledo, was Nick Saban. Evans was the first collegiate player for the legendary Saban to become a pro. Evans was drafted in the 8th round by the Phoenix Cardinals in 1991. He was on the Cardinals and Green Bay Packers practice squads in 1991 and 1992. 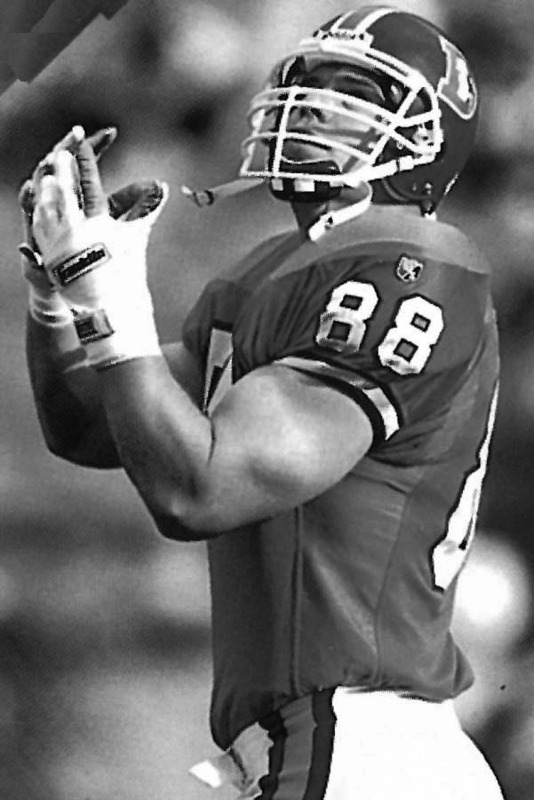 After playing for Barcelona, Spain, in the NFL World Football League, Jerry realized his dream of playing in the NFL for the Denver Broncos in 1993 and was a member of the team until 1996 when he retired due to injuries. Jerry caught three touchdown passes while with the Broncos. He got to play under notable coaches Mike Holmgren, Jon Gruden, Andy Reid, Wade Phillips, Mike Shanahan and Alex Gibbs during his pro career. Jerry lives with his wife and family in Lorain. Son, Zach, was an All-Ohio receiver at Elyria Catholic. He has transferred to Lorain High where he will be a senior on the Titans football team this fall. Daughter, Lauren, excelled in volleyball at Elyria Catholic and Lorain High and is now enrolled in the pharmacy program at her dad’s alma mater, the University of Toledo. Another daughter, Lindsey, is six years old.